Music fans of the Pacific Northwest, get ready for our fourth annual year-end daily local music showcase, 100 Bands in 100 Days, where every day until December 31st, we’re showcasing a new band or artist you have to know about, presented by Verity Credit Union. 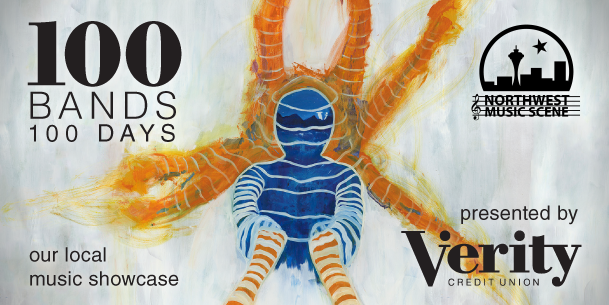 Make sure you are checking the #100Bands100Days hashtag at Twitter on the daily to stay on top of all the bands featured and make sure to follow Verity on Twitter and NW_Music_Scene as well. Some days the featured act could be an established and locally-adored northwest-based musician and other times they could be a band with a small following that just hasn’t had their deserved time in the sun yet. Either way, we’re fairly confident you can come away from this daily segment with plenty of new favorites. Today’s featured artist is Cozy Slippers. 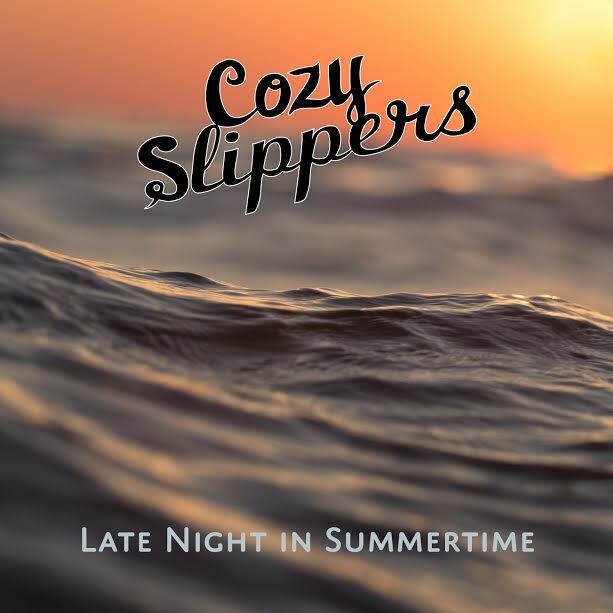 Back in March of this year we reviewed Late Night in Summertime from Seattle’s Cozy Slippers. The five-song EP is full of catchy, surf flavored riffs, nostalgic vocals and now that the northwest summertime is in the rearview mirror, today seems like a great time to revisit it this wonderful release. Cozy Slippers’ sound is a unique mixture of influences from many different genres. The straightforward vocal style contains 80s girl-group nostalgia (think The Go-Gos), and the simple, somewhat haunting guitar instrumentals are reminiscent of the sentimental riffs of The Smiths. All of this different inspiration comes together throughout the five tracks on the EP as something fresh and new. The clean fusion of the guitar, bass and drums is extremely satisfying to listen to; there isn’t too much going on in the background, but there also isn’t too little. The upbeat instrumental perfectly compliments the interesting vocals provided by Barbara Barrilleaux and Sarah Engel. The Cozy Slippers’ sound wouldn’t be the same without either of their voices, as they beautifully blend together in pitch-perfect harmonies throughout all their songs. The equality demonstrated between the two vocalists is a key factor in what makes Late Night In The Summertime so captivating. Despite the upbeat melodies that Cozy Slippers showcases in most of their tracks, the lyrics are ridden with deep, darker lyrics. For instance, the first track off of the EP may seem like a happy-go-lucky surf-rock jam at first, but the lyrics describe a plea for help following the loss of a Volvo-but is the Volvo a metaphor for a lost lover? The words leave lots of room for interpretation, and the contrast of lyrics to melody keep you interested every time you listen.